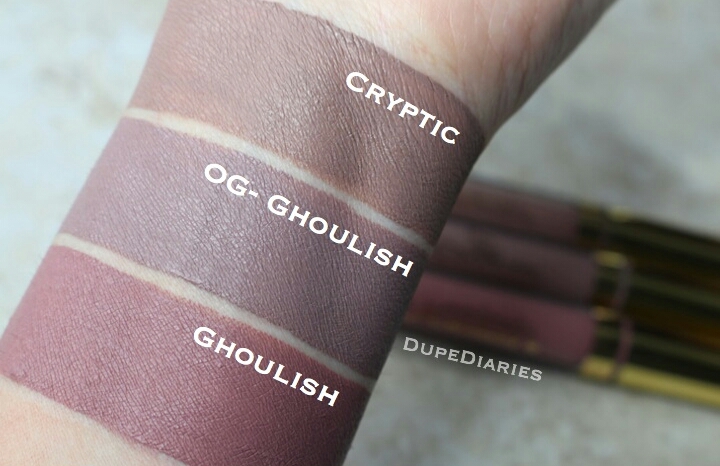 The three shades above are all Lip Couture formulas. Of all the colors LA Splash carries, these are my favorite. LA Splash carries different collections which I believe are suppose to have different formulations, but they all feel similar and have the same performance (Pigmented and glide on like a slightly thick creamy butter). Each LA Splash liquid lipstick I have ever tried reallt go on with ease. Overall very comfortable and last all day. The only way they don’t last is when I eat soupy/oily foods. The only downfalls with these liquid lipsticka is that if you layer these on, they tend to crack + crumble after a while once they dry (Only a thin layer is needed with these because they are very pigmented so this shouldn’t really be an issue). My main thing with these that they are very difficult to remove… which I suppose is a great thing if you want your lipstick to stay on all day and through the night if you’re out and about. So would I recommend these? Yeah. LA Splash carries a variety of shades to choose from and from all the ones I’ve tried, they’re all really pigmented. I also incorporate LA Splash liquid lipsticks in my dupes/alternatives for this reason.